Hinerava’s Signature Collection features striking white diamond short bar earrings, 0.03 carats, set in 14k white gold with exceptional Tahitian pearls. Length: 2 cm. Hinerava's Signature Collection features diamond huggie earrings, 0.22 carats, set in 14K white gold. Impeccably matched Tahitian pearls dangle from diamond hoops. These versatile earrings allow the huggie to be worn with or without the pearl, resulting in two styles of earrings in one. Length: 3 cm. Hinerava's Signature Collection features diamond huggie earrings, 0.22 carats, set in 14K yellow gold. Impeccably matched Tahitian pearls dangle from diamond hoops. These versatile earrings allow the huggie to be worn with or without the pearl, resulting in two styles of earrings in one. Length: 3 cm. Hinerava’s Signature Collection features Long Hammered Hook earrings, set in 18K white gold. 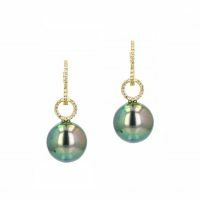 Impeccably matched 11 mm Tahitian pearls dangle from gold hoops. Hinerava’s Element Collection features large hoop earrings set in Sterling Silver ( 3.5 cm diameter). Impeccably matched 11 mm Tahitian pearls mounted in hoops. Hinerava’s Signature Collection features Long Hammered Hook earrings, set in 18K yellow gold. 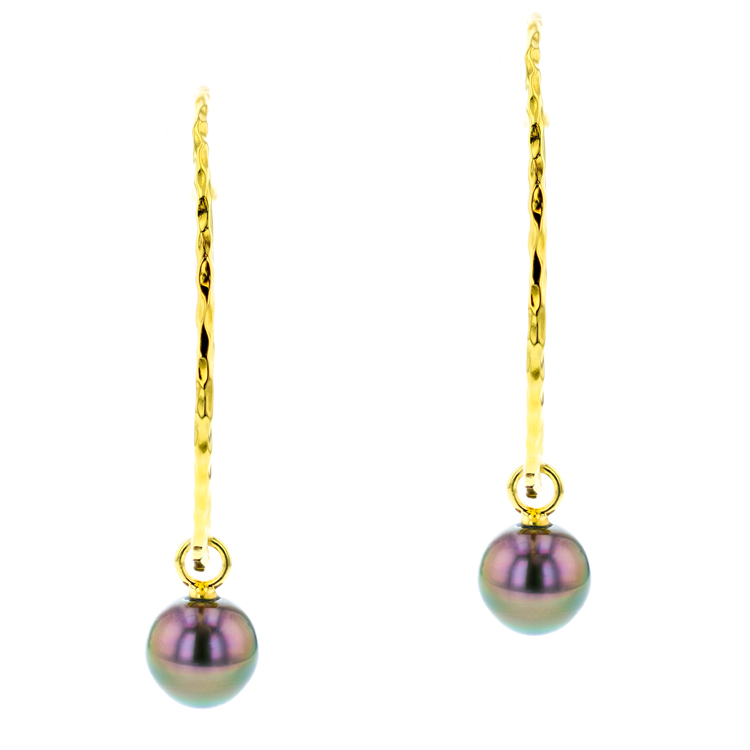 Impeccably matched 11mm Tahitian pearls dangle from gold hoops. Hinerava's Element Collection features alluringly long hook earrings, measuring 43 millimeters. 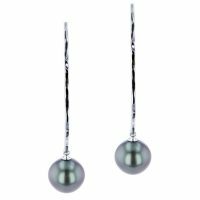 beautiful Tahitian pearls dangle for the ideal everyday earring. Available in sterling silver and vermeil. Length : 5 cm. Hinerava’s Element Collection features large hammered hoop earrings set in 925 silver ( 4.5 cm diameter) . Impeccably matched 11 mm Tahitian pearls dangle from hoops. These versatile earrings can be worn with or without the pearls. Hinerava’s Element Collection features large hammered hoop earrings set in 925 vermeil ( 4.5 cm diameter). 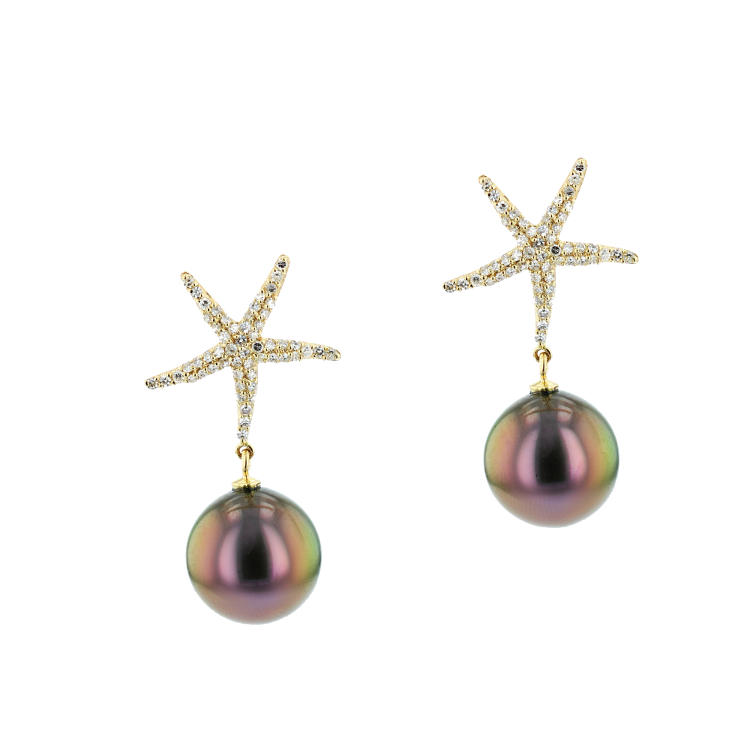 Impeccably matched 11 mm Tahitian pearls dangle from hoops. These versatile earrings can be worn with or without the pearls. Hinerava’s Element Collection features large hammered hoop earrings with a white topaz bezel, set in 925 silver ( 4.5 cm diameter). 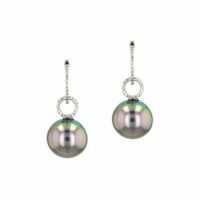 Impeccably matched 11 mm Tahitian pearls dangle from hoops. These versatile earrings can be worn with or without the pearls. Hinerava’s Element Collection features large hammered hoop earrings with a white topaz bezel, set in 925 vermeil ( 4.5 cm diameter). 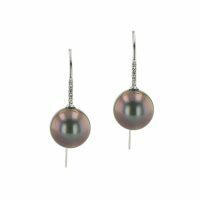 Impeccably matched 11 mm Tahitian pearls dangle from hoops. These versatile earrings can be worn with or without the pearls. Hinerava’s Element Collection Small Hammered Hoop with White Topaz Bezel Earrings, set in silver. Impeccably matched 11 mm Tahitian pearls dangle from hoops. Versatile use, earring can be worn as a hoop without the pearl. Length : 2 cm. Hinerava’s Element Collection Small Hammered Hoop with White Topaz Bezel Earrings, set in 925 vermeil. 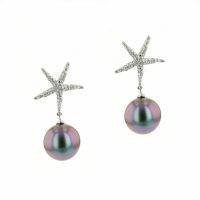 Impeccably matched 11 mm Tahitian pearls dangle from hoops. Versatile use, earring can be worn as a hoop without the pearl. Length : 2 cm. 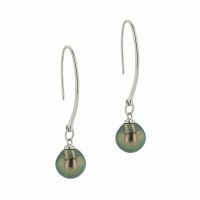 Hinerava’s Element Collection presents fashionable silver Large Hammered Hoop earrings with impeccably matched 11 mm Tahitian pearls. 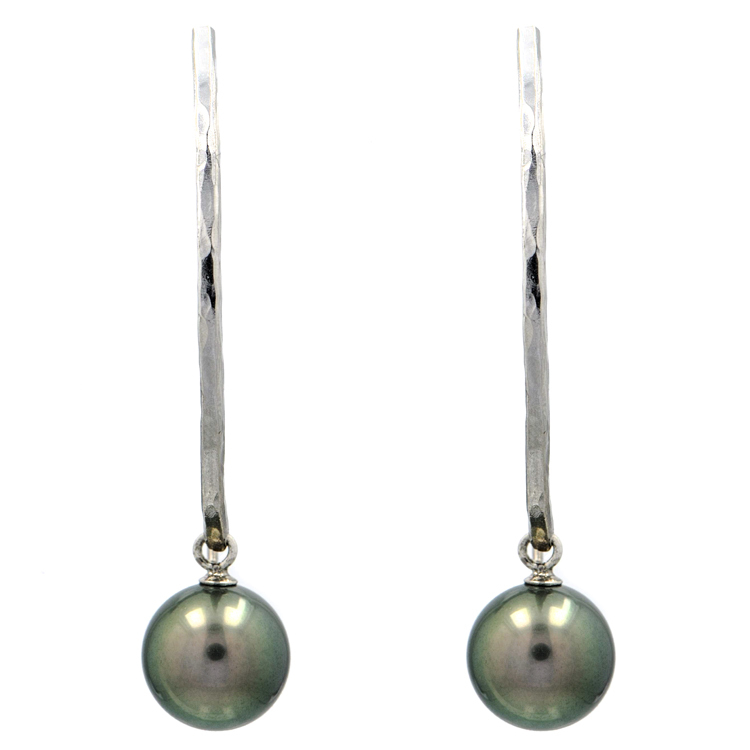 Hinerava’s Element Collection features Tahitian pearls on silver hook earrings, set in sterling silver. Hinerava’s Element Collection presents a fashionable silver Large Hammered Triangle earrings with impeccably matched 11 mm Tahitian pearls.